How often do you step into a Grab and instantly strike up a conversation with the driver? As Grab is now the largest e-hailing provider in Malaysia, as users, it does benefit us to understand how the system works, so that we can use it to our full advantage. So what really happens if we give our driver a low rating, or if we request for them to take a different route than what was keyed in originally? We reached out to Grab and got them to answer some really common questions riders might have, particularly when it comes to driver requests, to see if these could shed some light. So, this is probably a request many of us have tried at least once. The real answer is that Grab drivers aren’t actually allowed to deviate away from their course once the request has been accepted. If they’re caught doing so, they could be hit with a penalty from Grab. It’s probably easier to just ask your friends to meet you at a common point before calling the Grab from there. Unlike most conventional jobs, there aren’t any proper “working hours” for Grab drivers—which is actually a plus point because these flexible hours allow many people to take up this job as a part-time gig. The “working hours” honestly depends solely on what incentive they’re aiming for: per minute fare or time boosters. Most drivers who choose to work for Grab full-time find themselves being more active during peak hours, which is the morning and evening rush. They can then take breaks in between whenever they want. Most of us passengers assume that giving drivers a 3-star rating is average, but it could actually affect their earnings in the long-run. Every Grab driver has a Driver Rating (DR), which constitutes of stars. If they have a low DR (which is generally lower than 4.5), generally they might not be able to even drive on the Grab platform anymore. Grab drivers that meet the minimum Acceptance Rate (AR) and DR requirements also get jobs sent to them faster, which could help them earn more. Similar to the response above, every driver has a Cancellation Rate (CR) limit that they’re entitled to. If they exceed it, they’d be penalised or locked out from the system and get lesser job requests, which basically means lesser earnings. 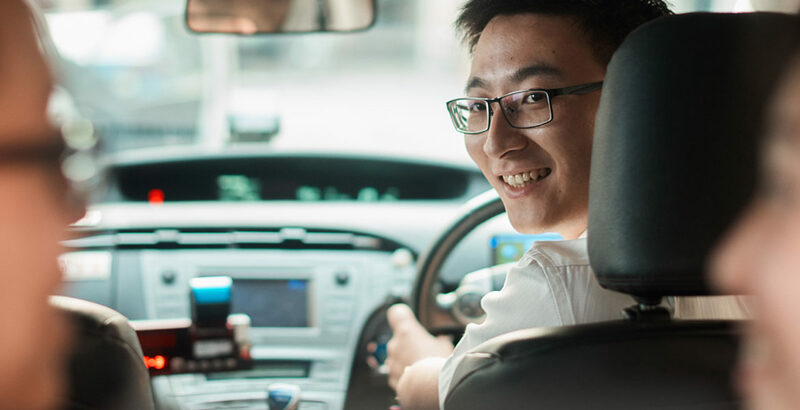 We’ve recently covered a few of Grab’s recent initiatives to make sure their drivers are safe and protected, but generally, Grab takes the safety of their drivers and passengers quite seriously. They suspend passengers and drivers who breach any regulations and to help their drivers in their daily duties, Grab also offers some benefits such as a rear-facing dash cam for their protection. This was something a lot of us were cautious about as most passengers weren’t too comfortable with the idea that Grab drivers could withhold our personal numbers. But Grab has now amended the system so now the numbers are masked to provide a sense of anonymity to all. That would be a little unfair to other hardworking new drivers that could potentially provide the same service. To ensure it’s a fair playing field and to not penalise any late-entries into the job, everyone gets a fair shot at all rides. Feel free to leave a nice comment to the driver though if you want to recommend the driver and reward him or her. Same reasoning as above. It’s only fair to open up the request to all the drivers as Grab doesn’t want to play any biased games here. Previously no. Grab had a restriction on this to help protect both the driver and the passenger. But as of November 2018, Grab has now rolled out the new “Change Destination” feature where you can change your destination if you realised you’ve made a mistake in your booking. This depends on a few factors, such as the incentives that can be earned, the amount of hours put in, the volumes of rides accepted, and more. To help people get a better understanding of how it works, Grab has a Revenue Calculator on their signup page which shows an estimate of how much a driver could potentially earn. Do note it’s not meant to be a 100% accurate representation, it’s simply a visual tool that guides you into understanding the earnings potential. If you’re interested in signing up as a Grab driver yourself, you can head over to their website here. If there are other things you’re particularly curious about, you can head over to Grab’s official website here for more information.